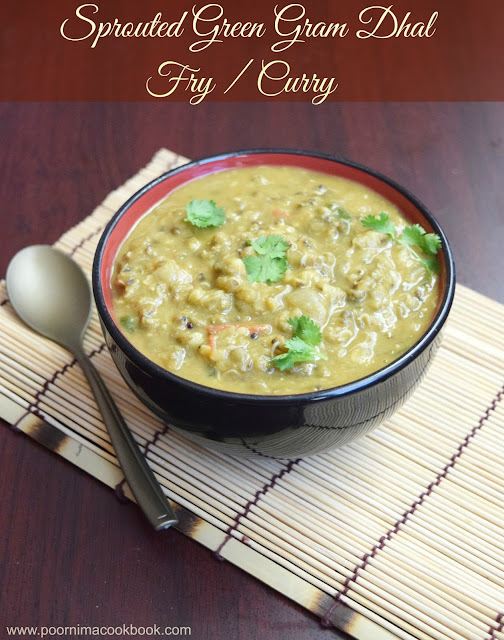 Try this healthy and also tasty sprouted green gram dhal fry / curry which suits well with chapathi, roti and also with steamed rice. 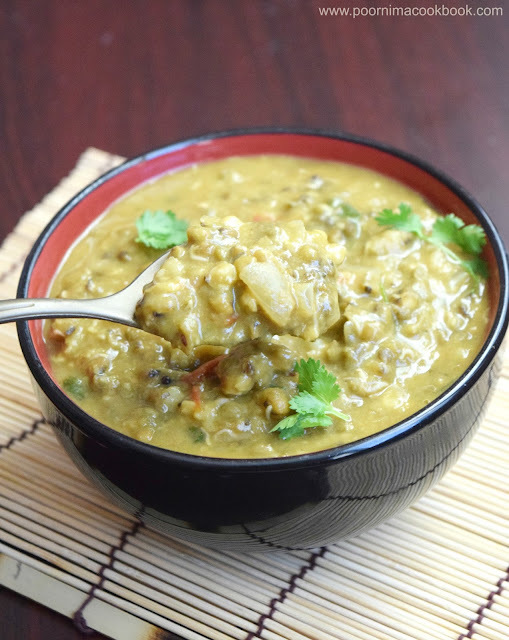 Check my another version Green gram dhal curry with mild seasoning! 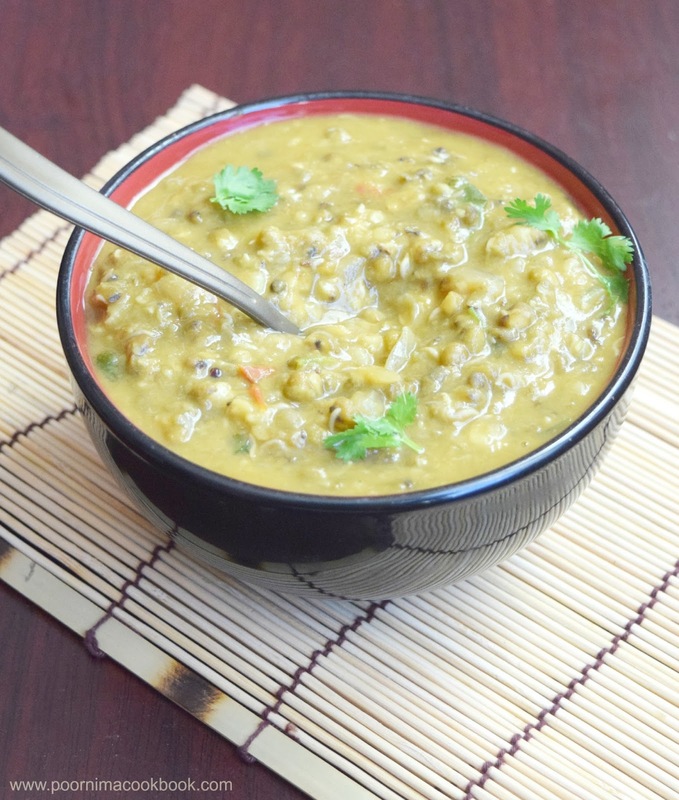 Pressure cook sprouted green gram by adding salt and enough water. Allow to cook for 3 - 4 whistles or till it becomes soft. Once the pressure releases, mash it with the ladle and keep aside. Meanwhile heat oil / ghee in a separate pan, season with the ingredients given under "For Seasoning" one by one. Then add grounded paste, tomato and spice powders. Sauté well till the tomato melts. Add the mashed green gram along with little water . ( Adjust the water level according to your preference). Remove from the stove and serve hot. Yummy dal fry.I too make this the same way.